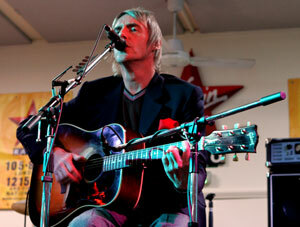 Acoustic Set at the Astoria – Paul Weller News! Nordoff-Robbins Music Therapy presents a one-off acoustic set at the Astoria on Sunday 30th September. Musicians and bands spanning the last 30 years will come together for this special performance. The first confirmed acts include The Charlatans’ Tim Burgess, Paul Weller, Candie Payne, a rare appearance from Dee C Lee and Ocean Colour Scene.Tickets are on sale from Friday 10 August and are priced at £35. They are on sale at the venue and here. The Nordoff-Robbins approach to music therapy developed from the pioneering work of Paul Nordoff and Clive Robbins in the 1950/60s. It is grounded in the belief that everyone can respond to music, no matter how ill or disabled. Nordoff-Robbins Music Therapy uses musical co-improvisation to help improve the quality of life for children and adults. The unique qualities of music as therapy can enhance communication, support change, and enable people to live more resourcefully and creatively.